This entry was posted on Thursday, September 8th, 2016 at 2:49 pm	and is filed under 2001: A SPACE ODYSSEY, CHARACTERS, Commander Dave Bowman, FILM, FILMS. You can follow any responses to this entry through the RSS 2.0 feed. You can leave a response, or trackback from your own site. So I have a question for Mr Dullea. In MARIENBAD (if you have seen it) a broken glass becomes an important element of the film. It’s the point at which a woman recognizes the uncontrollable situation she is in. 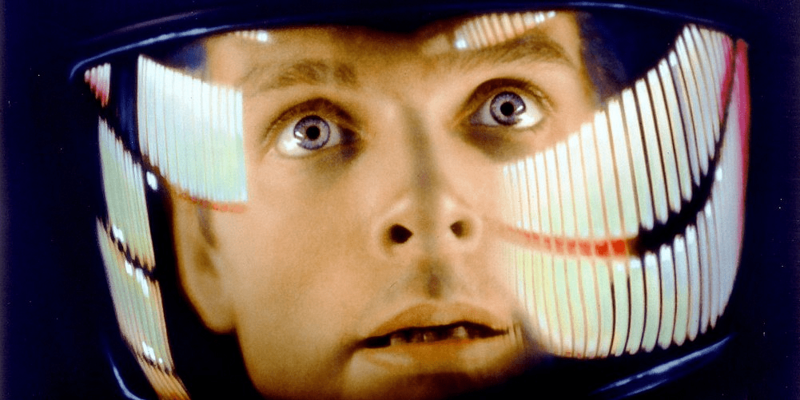 The broken glass in 2001: A SPACE ODYSSEY could be seen as Dave Bowman recognizing his situation. I have read that the glass breaking was your idea. Did MARIENBAD inform your suggestion? Interested to hear if this was a purposeful trope, or a coincidence. First of all thank you for stopping by the site and for leaving your comment. Sorry I didn’t approve it till now. Been a little MIA. My bad. As for the glass breaking scene. I know from the various appearances Keir has made, as well as his explanation on the Bluray DVD commentary for the film with Gary Lockwood, Keir said it was his idea to use the glass breaking as a way to transition from the various aging forms of Bowman. It’s not that he recognizes his situation, rather, it’s that is the device used to transit to the scene where the aged Bowman is lying in the bed. Just as it was also Keir’s idea for the transition between Bowman in the bathroom of that room, to the “second stage” Bowman sitting at the table eating the food. If you can please get the Bluray edition of the film and listen to Keir and Gary’s commentary. It’s a revelation. Thanks again for stopping by. I know Keir does frequent the site so he’ll see your comment.